A courageous and timely novel, Tears of Mehndi explores the rich, complex and often heartbreaking lives of a tight-knit community in Vancouver’s Little India. Through the perspectives of several women whose lives intertwine over a generation, Raminder Sidhu deftly exposes the shrouded violence within the Indo-Canadian community, a difficult and often dissembled subject. Sidhu’s characters are women caught between two cultures, struggling to understand the traditions they are obliged to follow while still embracing and often welcoming the fundamentally different values of the West. Through the perspectives of several women whose lives intertwine over a generation, Raminder Sidhu deftly exposes the shrouded violence within Canada’s South Asian community, a difficult and often dissembled subject. Sidhu’s characters are women caught between two cultures, struggling to understand the traditions they are obliged to follow while still embracing and often welcoming the fundamentally different values of the West. “Tears of Mehndi” captures the family struggles of South Asians in British Columbia, and tells the stories of women caught between tradition and western culture. Sidhu was born and raised in Mackenzie, BC. This image is from a project currently underway: the digitization of the David Conde Fonds. A Canadian journalist working in Japan from the 1940’s through the 1960’s, David Conde reported on the IMTFE (International Military Tribunal for the Far East) trials for Reuters from 1946-1948. Also known as the Tokyo War Crimes Trials, the tribunal brought charges against leaders of the Japanese Empire for war crimes. David Conde was ultimately expelled from the trial proceedings by General Douglas MacArthur, but not before collecting a massive amount of documentation. Aside from the court proceedings, there are biographical profiles on the defendants, copies of exhibits, evidence, and diplomatic communications, as well as Conde’s copious research materials. 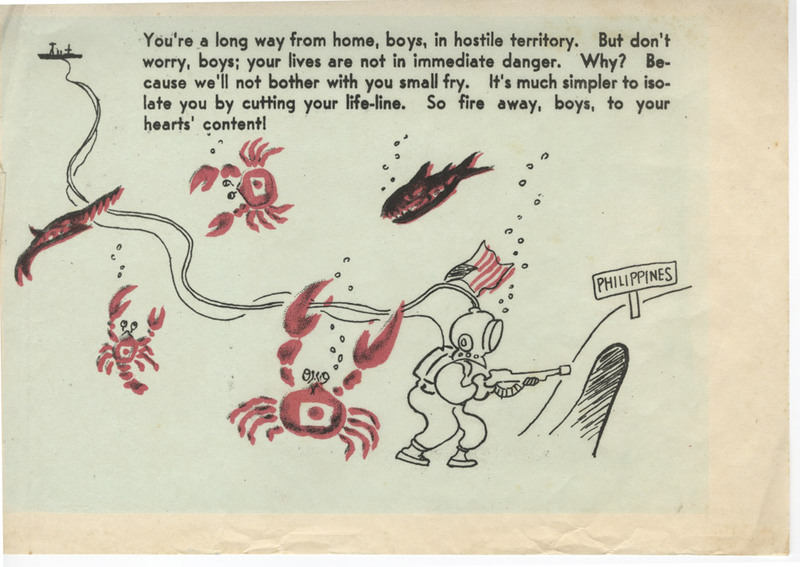 This image is an example of Japanese propaganda from the trial exhibits, intended for U.S. servicemen in the Philippines. 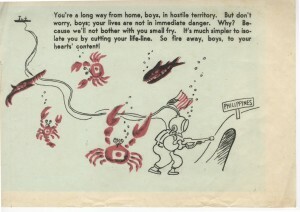 A fairly charming illustration on its own, the text warns of cutting off the lines of supply for Allied troops (click on the image to make it bigger). The crabs look a little more sinister now, don’t they? We have been partnering with the University of Tokyo to digitize these IMTFE materials – along with the rest of David Conde’s fonds – which will become available in UBC’s digital collections. Stay tuned … in the meantime, you can read more about the David Conde fonds and its contents here. Hosted by Green College’s Human Evolution, Cognition and Culture: The Evolution of Religion, Morality and Cooperation lecture series. Religion and spirituality are often discussed as “big” philosophical and scientific questions, but they also need to be understood in the context of everyday life. The small city of Binghamton, New York, includes almost 100 religious congregations, along with many non-churchgoers with their own religious/spiritual/secular beliefs. The city can be studied as a “cultural ecosystem” using the same theories and methods that are used to study biological ecosystems. This approach to religion and spirituality can be employed at other geographical locations and provides a new perspective on the “big” philosophical and scientific questions. David Sloan Wilson is Professor of Biology and Anthropology at Binghamton University. UBC Library’s Rare Books and Special Collections (RBSC) is pleased to present “The Iron Pulpit”: Missionary Printing Presses in British Columbia exhibition. The exhibition is located in RBSC, on level one of the Irving K. Barber Learning Centre and is open to the public Monday to Friday, 10 a.m. to 4 p.m., and Saturday 12 p.m. to 5 p.m.
A PDF of the exhibition catalogue, which includes an introductory essay, detailed item descriptions and a checklist of existing missionary printing press imprints, is available online. “The Iron Pulpit” was curated by Alicia Fahey (PhD Student, Department of English) and Chelsea Horton (PhD Candidate, Department of History). For questions about the exhibition, contact Katherine Kalsbeek, Acting Head, Rare Books and Special Collections. 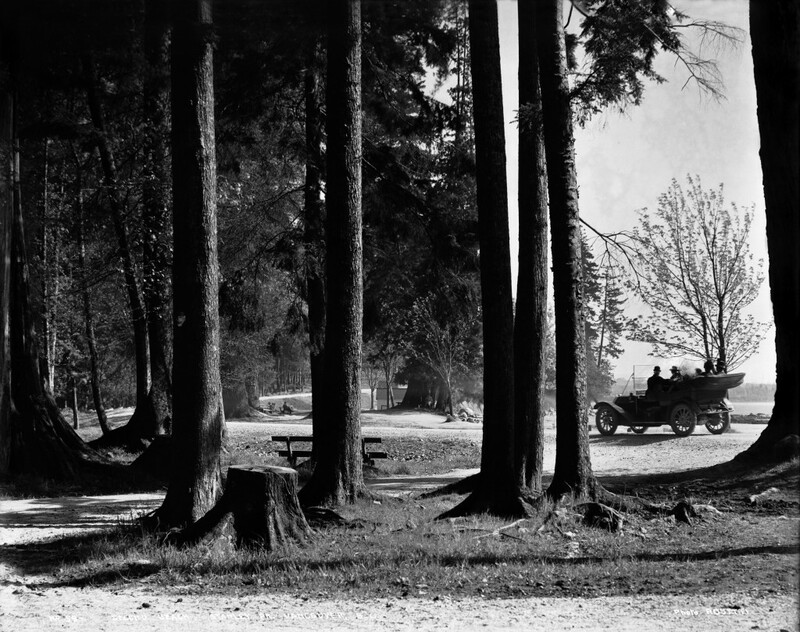 The following images, part of UBC Library Archive’s Haweis Family fonds (PDF link), are from of a series of images taken by Rosetti Photographic Studios in Vancouver’s Stanley Park in 1912. Lionel Haweis emigrated to Canada from England in 1907, where he opened Rosetti Photographic Studios on Pender St., and later on Robson St. 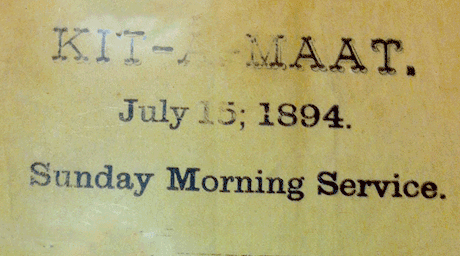 In 1918 he was appointed to the staff of UBC Library, retiring in 1939. He was well-known in the literary life in Vancouver as founder of the UBC Arts and Letters Club, and a member of various literary clubs, the Little Theatre, and the Vancouver Overseas Club. In addition to his earlier writings he also authored an Indian ballad (Tsoqualem) and a play (The Rose of Persia). He died in 1942. 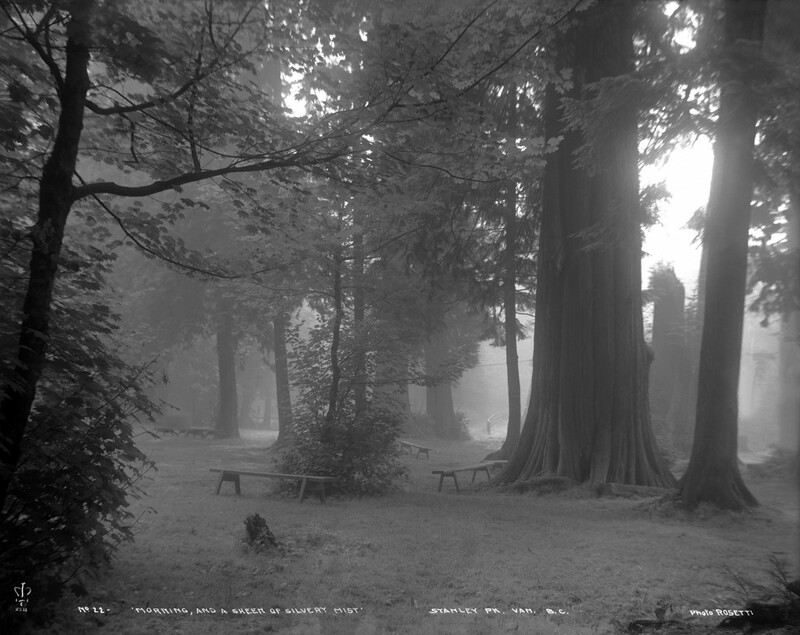 The Stanley Park images are currently available in the Rosetti Studios – Stanley Park digital collection and Digital Initiatives is in the process of rescanning the original glass plate negatives, and will soon be updating the collection with beautifully high resolution images that better preserve the incredible detail captured in the original negatives. Interestingly, while re-scanning we noticed that the handwritten captions were actually written backwards directly onto the negatives (which we have scanned and digitally inverted to produce the images below). While the first image looks like it could have been taken yesterday, the conspicuous absence of the Lion’s Gate Bridge (not to mention all of North and West Vancouver) in the second image, and the classy old McLaughlin(?) in the third really give them away. No. 22 ‘Morning Sheen and a Silvery Mist’ Stanley Park, Vancouver B.C. No. 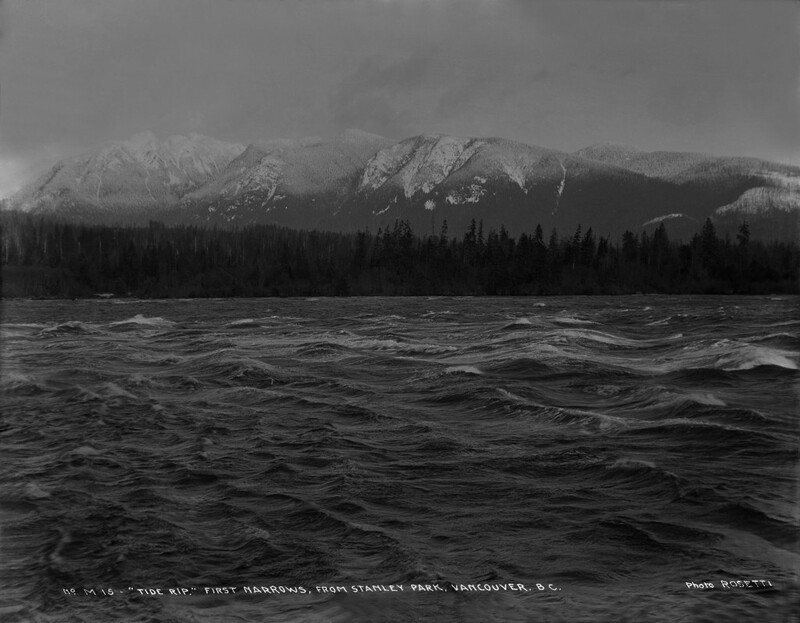 M 15 ‘Tide Rip’ First Narrows from Stanley Park, Vancouver, B.C. No. 59 ‘Second Beach’ Vancouver, B.C. September 27th, 2012 by deewin | Comments Off on Got Class? The Class (Entre les murs) is an award-winning film directed by Lauren Cantet. It’s set in a tough school in Paris and highlight’s one teacher’s experiences teaching French language and literature. Come to the Education Library to borrow it (PN 1997.2.C 5784 2009 dvd) and be sure to let us know what you think about it! Posted in DVDs, Featured | Comments Off on Got Class? This week’s UNESCO conference in Vancouver, entitled “The Memory of the World in the Digital Age: Digitization and Preservation,” is featured in a recent Province article stressing the importance of protecting digitally preserved knowledge. “It’s one thing for a computer crash to erase all your personal data. But imagine if humanity’s historical hard drive was wiped out.” Read more online, “Protecting digitally preserved knowledge is focus of UNESCO conference,” by Elaine O’Connor, The Province. On October 19th at the Coast Coal Harbour Hotel is a free public event entitled "Brokering Belonging or Contesting White Supremacy: Controversies in Chinese and Asian Canadian Educational Histories and their Implications." A four person panel will lead the discussion, comprised of John Price (University of Victoria), Lisa Mar (University of Maryland), Timothy Stanley (University of Ottawa) and Henry Yu (University of British Columbia).